Strokes are the leading cause of disability among adults in the United States and affect nearly 800,000 people every year. This condition is a result of slow-growing carotid artery disease, and it’s highly preventable. 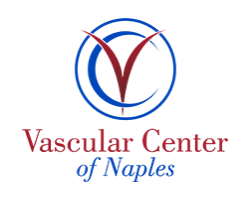 At Vascular Center of Naples in Naples, Florida, Dr. Russell Becker offers effective solutions to improve the health of your arteries and prevent a stroke. Schedule a consultation online or by phone to learn more about available treatments for carotid disease and stroke prevention. Carotid artery disease results when fatty plaque deposits clog the carotid arteries that carry blood to your head and brain. This type of blockage leads to a stroke. Carotid artery disease develops slowly and might not show up until you suffer a stroke. A stroke occurs when blood flow to your brain is cut off and your brain cells begin to die from a lack of oxygen. These brain cells are responsible for important functions of your body, such as memory and muscle control, and when they die, you begin to lose functionality. A hemorrhagic stroke is less common than an ischemic stroke and often proves fatal. Is loss of functionality a permanent condition? The effects of a stroke depend on the severity of the condition and what parts of your brain are affected. In smaller strokes, you may experience only minor, temporary problems, such as arm or leg weakness. In larger strokes, you can experience permanent paralysis on the affected side of your body or lose your ability to speak. While many people do recover from small strokes with no permanent damage, many others are left with some kind of disability. What treatment options are available for carotid artery disease? At Vascular Center of Naples, Dr. Becker offers effective treatments to reduce your risk of having a stroke. He provides a minimally invasive stenting procedure that uses a wire mesh tube to open the affected artery. Dr. Becker uses only a small incision to insert a catheter and place the mesh tube into the artery. If this type of procedure isn’t effective for your treatment, Dr. Becker may recommend a carotid endarterectomy procedure. What can I expect during a carotid endarterectomy? Dr. Becker makes an incision in the front of your neck to access your artery. He cleans the carotid artery of accumulated plaque before repairing it with a piece of your vein from another part of your body. This is a safe and effective procedure with minimal complications. 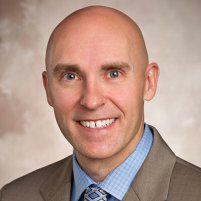 Dr. Becker provides you with aftercare instructions to ensure proper healing. To learn more, schedule an appointment online or by phone.